Seating — BF Workshops, Inc. The design process utilized three different disciplines to develop a chair that meets the style and comfort expectations of the client: designer, master woodworker, and master upholsterer. Designing was based on a picture of the “A. 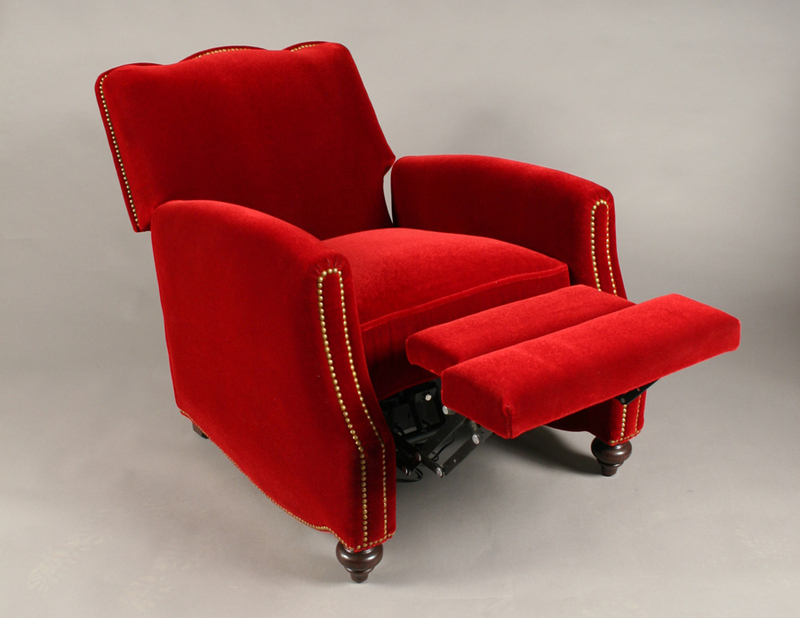 Rudin” stationary chair and altered to accommodate motorized reclining mechanism. Upholstery: mohair plush by Gretchen Bellinger, marshall springs, dawnand feather, webbing, burlap, edge roll, foam, cotton, and muslin. Sample prototype chair was made for testing comfort and function by client and interior designer. Front arms were raised to create a more sweeping angle from front to back. Curvature on back portion of arm rests conforms to back motion when foot rest mechanism and back recline mechanism were activated. Prototype was approved by client before fabrication.